Money Matters for Kids is back! Three years ago, I took N to an exhibit at the Metropolitan Museum of Manila to jumpstart her financial education. I wrote about our experience here. N was about 3.5 years old then and admittedly, she wasn't mature enough to fully appreciate the activity. I wanted to bring her back when she was a bit older but there wasn't any there scheduled exhibit until this year. Breastfeeding Awareness Month is happening next week! As always, it is packed with activities to promote, support and protect breastfeeding and further the breastfeeding advocacy. Let me start with L.A.T.C.H. 's big event this August -- Breastfeeding Uncovered 2014: Mission Possible. 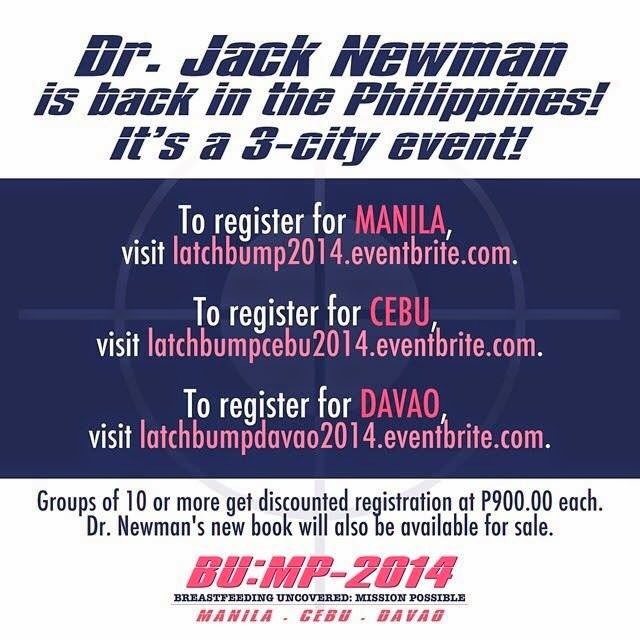 LATCH has expanded to Cebu and Davao cities and we decided to bring back Dr. Jack Newman to visit 3 major cities in the Philippines. His first visit last year was well-attended and with the release of his new book, we hope that more healthcare workers, breastfeeding supporters and breastfeeding mothers can hear him speak. I was able to sign-up for ilactation's Heart-to-Heart Online conference earlier this year. Learning about breastfeeding is never-ending. There are regular researches and updates and I am pretty happy that there are providers which allow advocates like myself to listen and learn online, in the comfort of my own home or while commuting.